Like Hummus? Like Beans? Like Snacks? Like THIS. You know how chips are really delicious? And how some people say they aren’t good for you? It’s saddening, but there may be some truth to it. Who knows. If you’re one of those people who adheres to scientific theory and other such nonsense, this could be a perfect snack for you! It also doesn’t have measurements, really. I made some up for you. That goes along with my whole NO SCIENCE motto. Easy, huh? Don’t go nuts if you don’t have one of these ingredients. 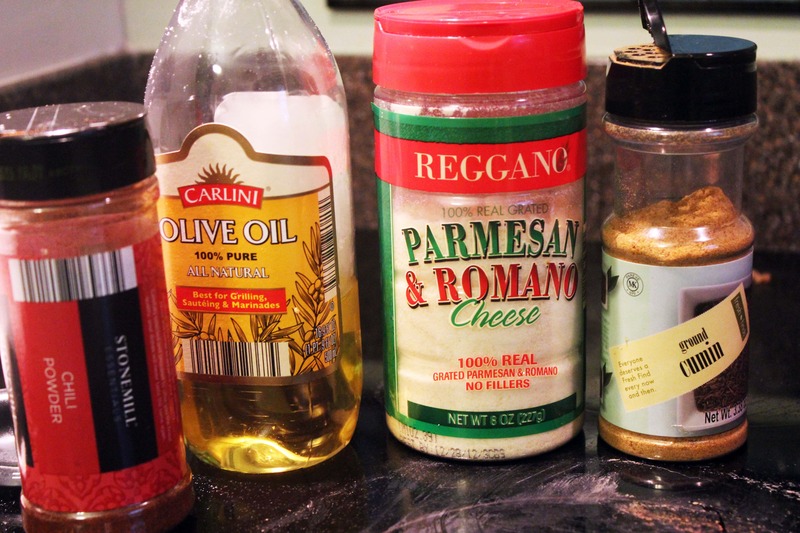 Make a fun substitution and call yourself a recipe writer and move on with your life. You heat a pan to a nice medium-high heat. 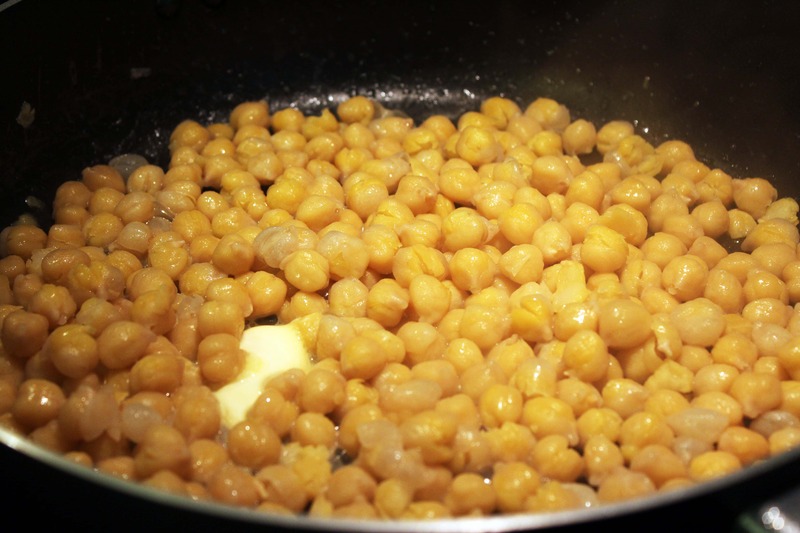 Then, add the drained chick peas and butter! 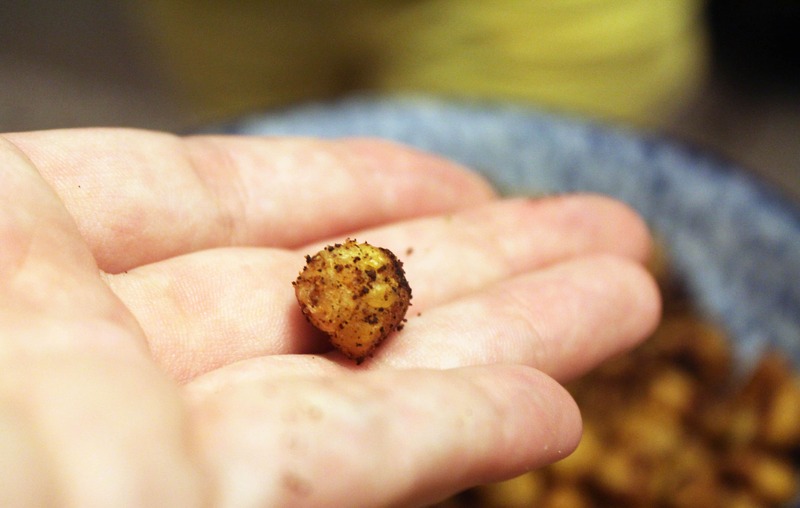 note: dry chick peas make crunchier snacks. Let yours dry for as long as you have to speed up the toasting process! My mom boiled these herself, so I added lots of salt. You’ll have to make a decision about salt that works for you, though! 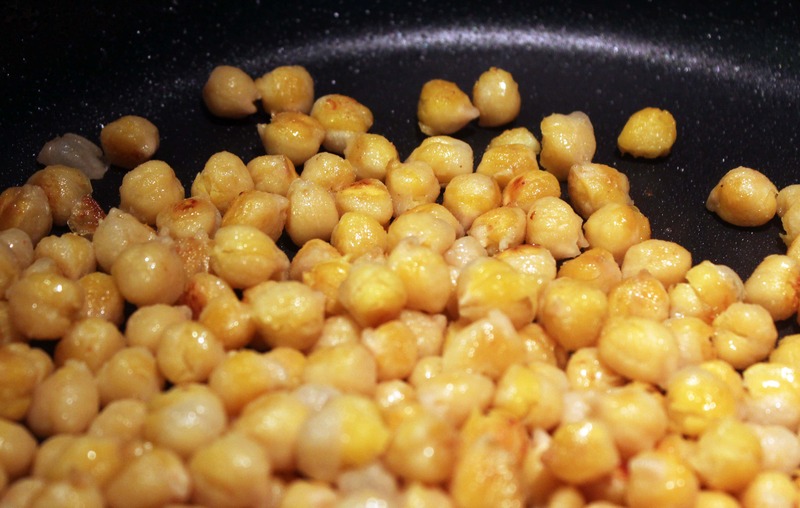 Shake the chick peas, oil, and butter around in the hot pan for 10-15 minutes until they start to dry out and get toasty on all sides. They don’t have to be super dark, but the dark spots are the crunchiest so….let them go for as long as you can! 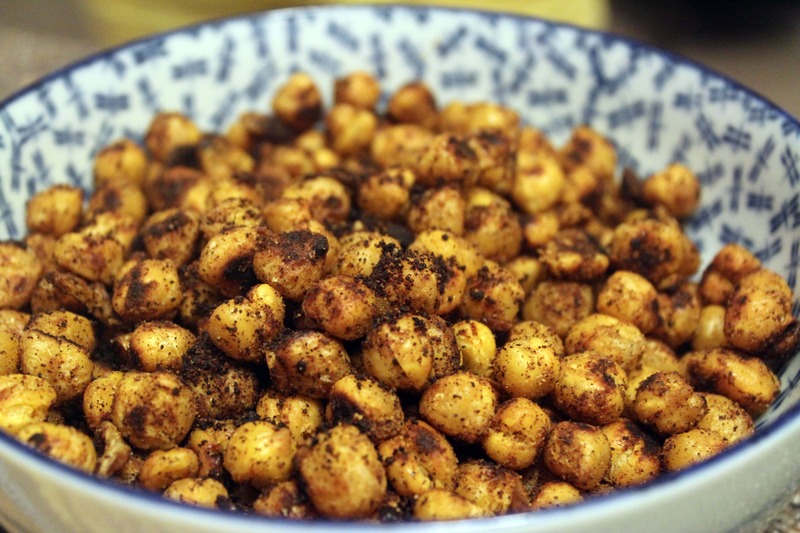 When the chick peas are nice and toasty, add the chili powder, parm, cayenne pepper, and more salt if you’d like! Roll that around some more to toast the cheese and keep drying everything out, and you’re all done! Now, if you taste on of these bad boys and feel as though they’re too wet you can turn the heat way back and let them continue to dry out without burning the cheese, or you can put them in the oven at 250F for as long as you have to wait. 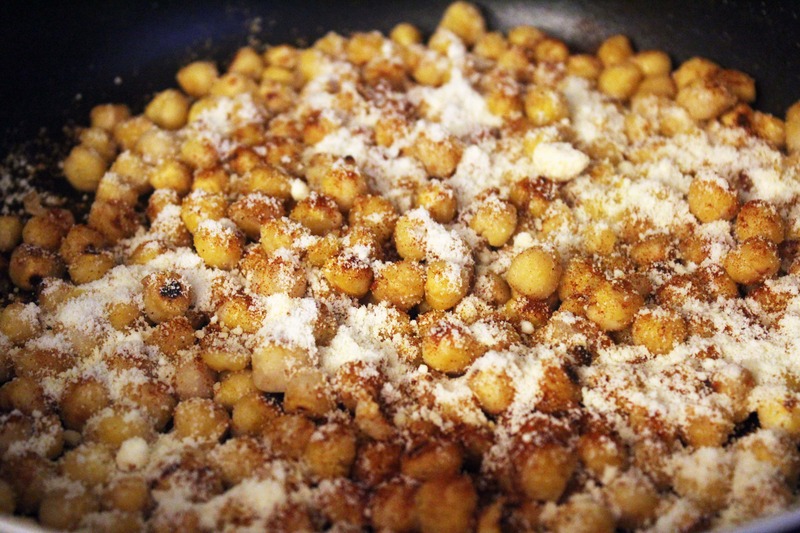 As long as you toast the chick peas for a good while before you add the cheese, though, you should be just fine. These are quick, easy, and delicious. Apparently they’re also better for you than sliced potato product dunked in oil and covered in preservatives and salt. Who knew? Thanks! They were REALLY tasty. I’ve had something like this before and it is so so good!